So, up until last month I hadn’t read any books by Mead. 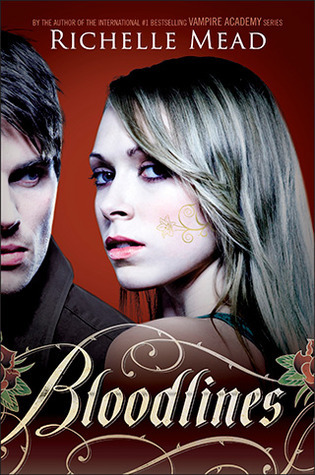 Now, ive read all 6 of the VA series, and am starting the Boodlines series (obviously) and what the hell took me so long to start?? The story follows Sydney Sage, who we met in VA as an Alchemist. We didn’t know too much about her, only that she was in debt to Abe (a bad guy and Rose’s dad) and that she was an Alchemist. We learn so much more in this story. You learn about what a crappy childhood she had (Worlds worst dad goes to…?) and how, even though she is almost perfect at everything, no one gives her credit for it and she is constantly feeling lacking. I grew to really like Sydney. She is an honestly good person. She is always trying to do something for someone else, no matter what price she has to pay personally. She is constantly looking out for everyone, even when she gets nothing in return. And though she was no Rose (from VA), she wasn’t super strong or badass like Rose, she was cool in her own way. BUT… Adrian was there!! YAY! So I was okay with the super predictable and highly unlikely plot. The only downside was, there was no romance. I like romance in my books. I especially like romance in my paranormal books. And this had none. Sure Jill, the fifteen year old, was kinda set up on a date with a nineteen year old…. And they had a little thing. But that’s it. Adrian is still caught up on Rose. And Sydney has never dated in her life. And, though im planning on reading the rest of these books soon. It doesn’t appear (by reading the synopsis of the other books) that there is a single love interest for Sydney. It kinda looks like she has a few love interests. Which is very disappointing. But we’ll see. i just finished reading all three books that are out to date and officially love this series. I reviewed this one today and i have to say I'm standing pretty much where you are with the book. Book 2 was a bit better but ulitmately it's book three that made me officially love this series. Interesting review. I tend to avoid YA serials these days as all of them seem more or less the same. I might just give a try to this one, though.